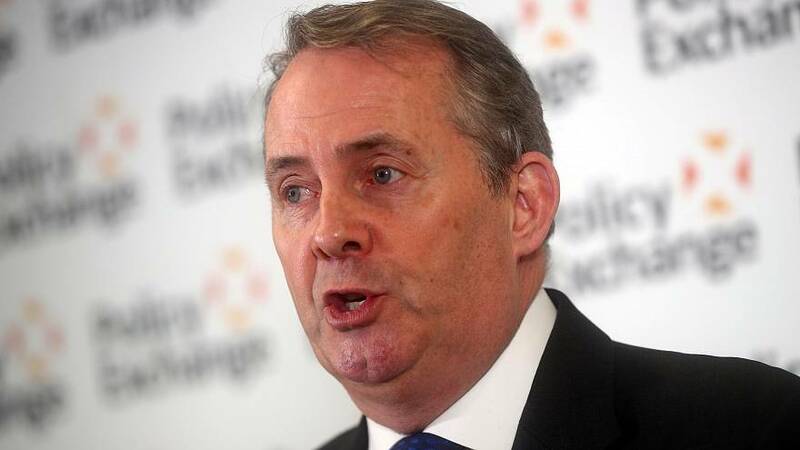 Britain's International Trade Secretary Liam Fox said on Friday that the UK will be shifting its post-Brexit economic attention towards the far-East and the Commonwealth in a major speech in which he barely mentioned the country's biggest trading partner — the European Union. In his address, delivered at the Policy Exchange think tank in London just 56 days before the country exits the EU, Fox pitched his country as a champion of multilateralism and set out his vision for Britain's place in the world post-Brexit. "We must remember that there is a world beyond Europe and there will be a time beyond Brexit," he said. Instead, he said that while North America and the EU will remain key trading partners going forward, "the growth in the East represents a huge opportunity for the UK to establish new, and grow existing, trading relationships." "The UK was, naturally, deeply involved in the negotiation of this agreement. Neither side intends to put up barriers where none now exist," he explained. Fox also argued that the UK occupies "an exceptional place among the world's biggest economic players" in part because of its status as a Commonwealth country — a political association of 53 member states, nearly all former territories of the British Empire. Britain, he said, will encourage the other Commonwealth countries "to set out ambitious thinking on how we can bring our trade and development policies closer together." The Cabinet Minister also sought to position the country as a champion of multilateralism and took a veiled swipe at US President Donald Trump's threats to withdraw from the World Trade Organisation (WTO). "Economic nationalism may look like an attractive shelter from the winds of change that have come with the era of globalisation and even more from the technological revolution in which we find ourselves, but it is a mirage," he said. He went on: "The alternative to an international, rules-based system is, at best, a deals-based system that will suit only the strongest and at worst a free for all that will put at risk much of the progress we have made in recent decades." He nonetheless admitted that "the WTO may be imperfect and some of its rules may be outdated" and that the "whole regulatory environment at the WTO needs to change." "We are committed to multilateral solutions, not for altruistic reasons but because they best serve the interests of the UK and the wider role," he said, adding: "True multilateralism is, and will remain, the gold standard of international trade agreements." The UK's attention will be particularly focused on "the liberalisation of the global trade in services," Fox said. The sector employs some 26 million people in the UK and Britain is currently the world's second largest services exporter, behind the United States. Services accounted for 40% of the UK's exports to the EU in 2017 and the withdrawal Agreement agreed between Prime Minister Theresa May and EU leaders — that British lawmakers have rejected — was vague over how trade in services would operate between the two entities after Brexit. Fox declared however that "leaving the EU gives us the freedom to pursue an independent trade policy that reflects our unique strengths in services." Brexit: what ‘alternative arrangements’ are there to the Irish backstop? Do the British government simply have to hold their nerve?